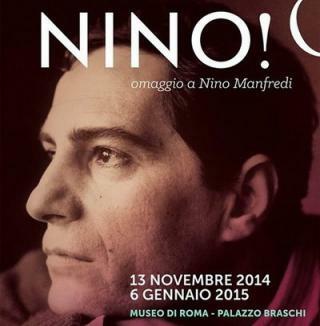 At the Museum “Palazzo Braschi” from 13/11/2014 until 06/01/2015 a photographic exhibition in honor of Nino Manfredi, on the 10th anniversary of his death. A trip through the most significant moments of his private and artistic life. The exhibition, offered by Manfredi’s family in occasion of his 10th year of his death, aims to cover his most important films through the use of photographic shots of his films, with the use of music and a documentary made by his son, Luca, in order to represent his highest artistic moments and of his private life.